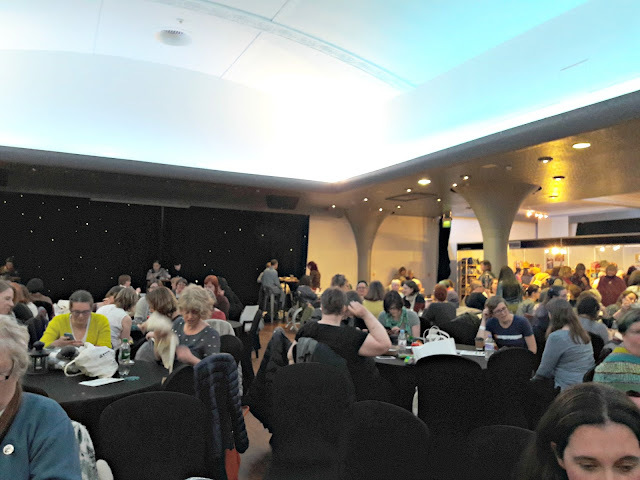 I was sitting at Edinburgh Waverley station on Sunday afternoon, knitting my sock and waiting for my platform to be announced, when the lady next to me leaned over and said, "Have you been to the yarn festival?" It turned out that she had too. We're a sociable lot, us yarny people, aren't we? The lady happened to be getting my train too, and if our seats had been together then no doubt we would have spent the journey comparing notes and yarns (instead, I sat next to a man who knew a lot about planes and wind turbines) and no doubt the lady would have seen parts of the festival that I had missed, because that's always how it is. 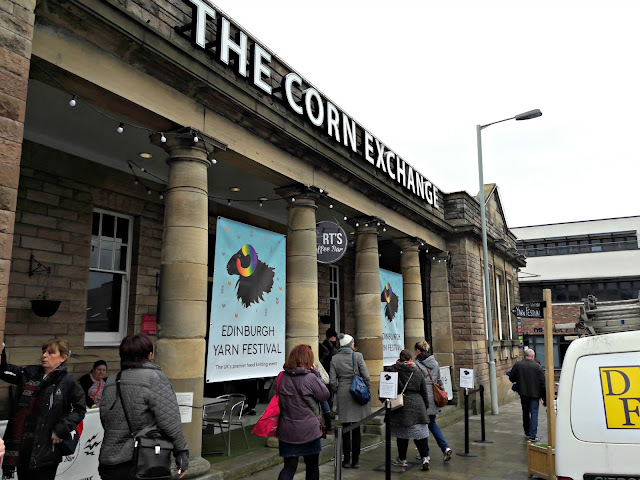 So you're going to read about the parts of the festival that caught my eye, and the parts of Edinburgh that caught my eye too - get ready for lots of photos! I have to say, I wasn't particularly sociable at all on Friday morning when I got on the train at Warrington to go to Edinburgh. I was so looking forward to some uninterrupted sock time that I put my headphones on, listened to podcasts - the KnitBritish update on the Edinburgh Yarn Festival, Radio 2's Simon Mayo Confessions (which made me laugh out loud, always a strange experience if you're not the person with the headphones on), and Radio 4's In Our Time debate about the Roman emperor Justinian's legal code because I like to mix it up a bit! 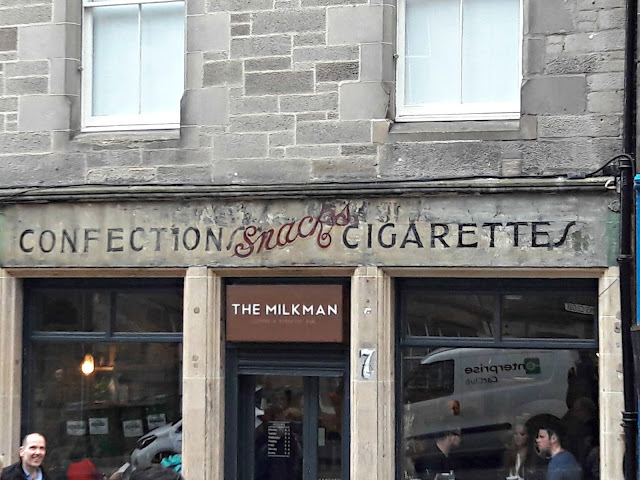 - and knitted until the train arrived at Edinburgh. I got on very well with the Stylecraft cinema (and now train) sock. 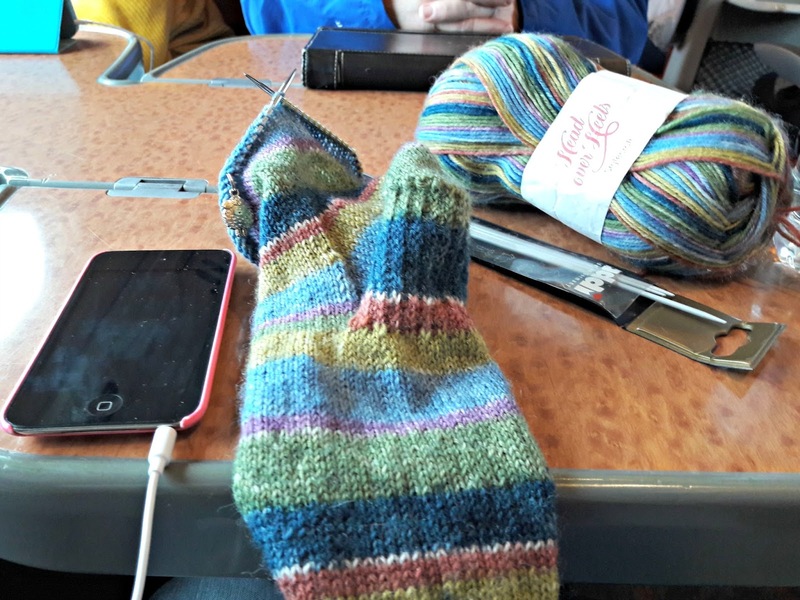 I managed not to drop any stitches or do anything otherwise daft and was ready for the Kitchener stitch by the time the train pulled into the station. Thank goodness! I met my lovely friend Lucy at the station. 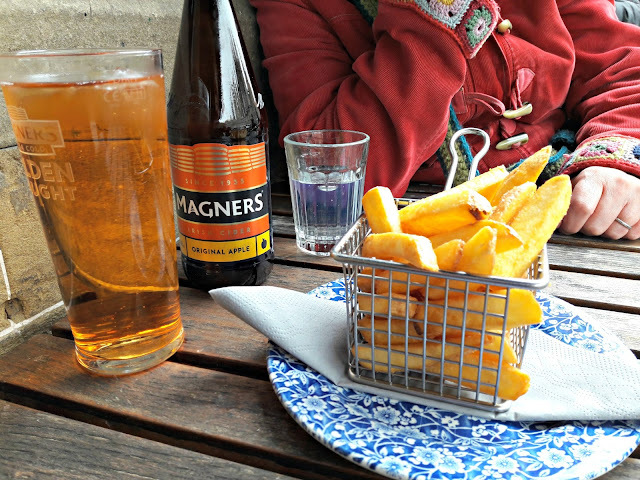 We congratulated ourselves on having a weekend away from family duties to please ourselves and after finding our hotel, celebrated with cider and gin. Oh, and chips, which we ate outside as we watched the world go by. 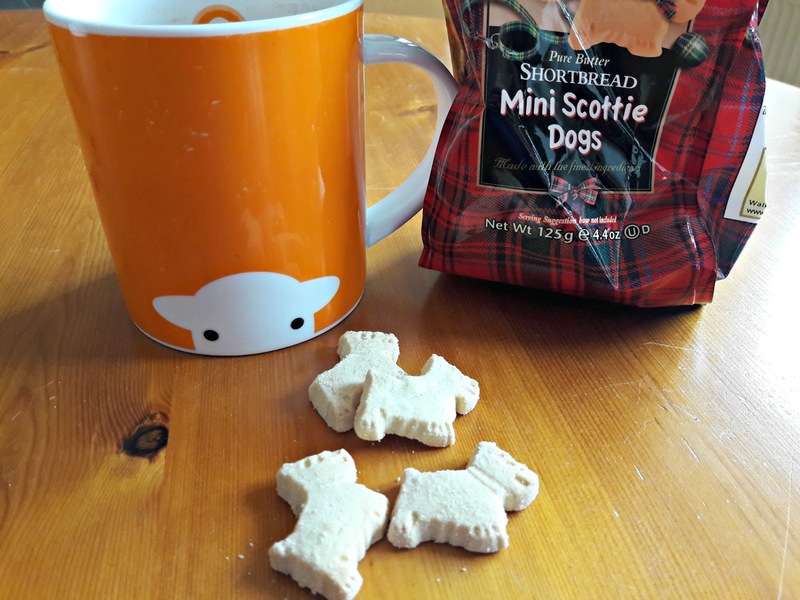 They were good! and up more steps. We certainly got a workout over the weekend! It was worth it, though, because the views from the top of the hills were amazing. I love to look down on rooftops and out across cities. This view was from just outside the castle, which dominates the landscape in every direction. 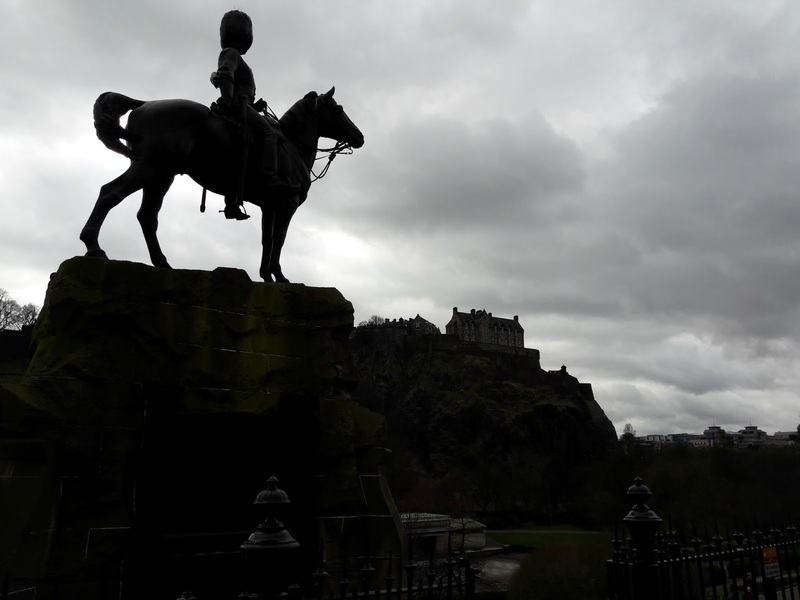 These days, the imposing esplanade in front of Edinburgh Castle is the venue for the famous Royal Edinburgh Military Tattoo (a "tattoo" is a military performance of music or display of armed forces) which is an annual festival featuring musicians and performers from around the world, amongst other events, such as concerts and even weddings, but the history of the castle dates back to the 12th Century. 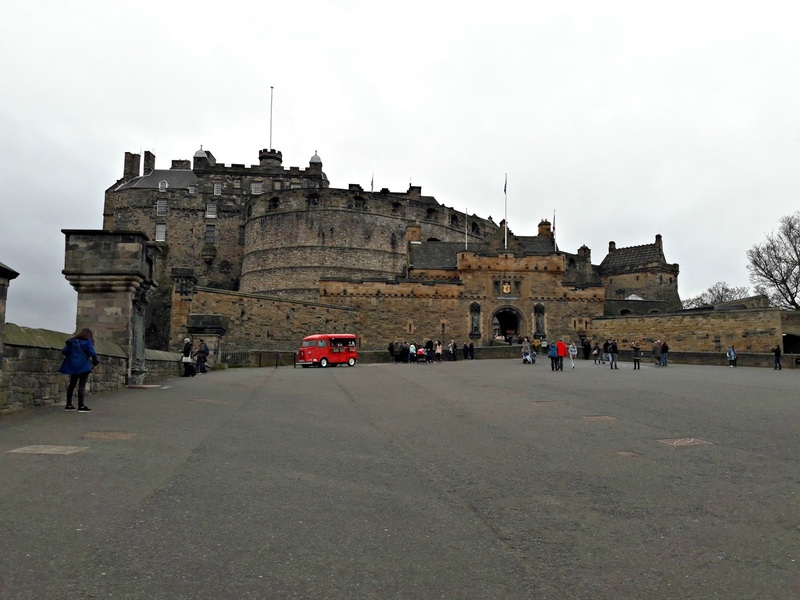 It's not in use as a royal residence any more but houses the Crown Jewels of Scotland, the Scottish Stone of Destiny or Stone of Scone, used when monarchs of both England and Scotland are crowned and the War Museum of Scotland. I don't think there are many places in the city where you can't see the castle, which seems to have grown right out of the rock. It towers above the Old Town and the New Town (which was built in the 1700s so isn't actually that new at all), linking the two parts of the city. The street that you can see running along the bottom of this photo is Princes Street on the New Town side - this is the place to go for the shops and the grand hotels. You maybe can't see from this photo but the characteristic of the New Town is that it's built on a grid system, in contrast with the Old Town which is much more organic in the way it was developed. There are so many fascinating tourist attractions in Edinburgh - including the castle - but we chose to keep walking. It's a good excuse to go back to visit them again! 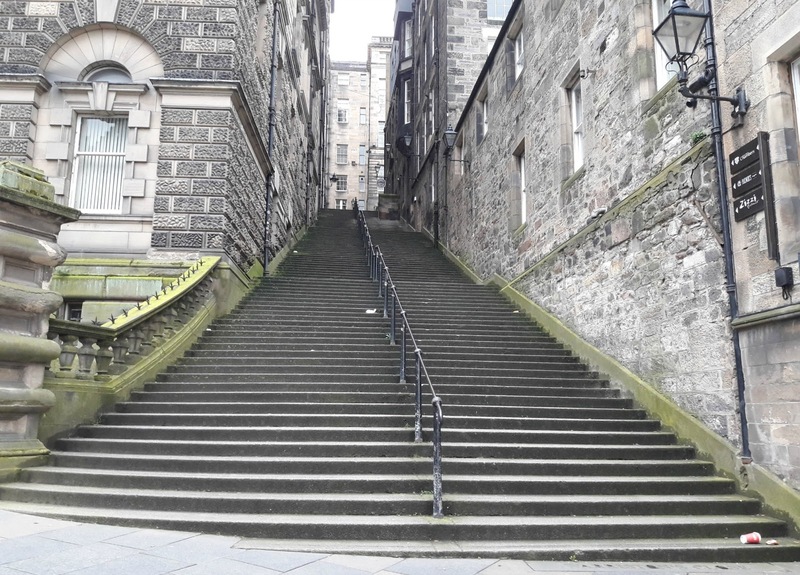 One that we didn't see but which is top of my list for a future visit is The Real Mary King's Close, a warren of 17th Century houses underneath the modern city; because Edinburgh was built on such steep hills, houses were built to take advantage of all of the slopes so some face one way and others are built on top of them facing in the opposite direction. 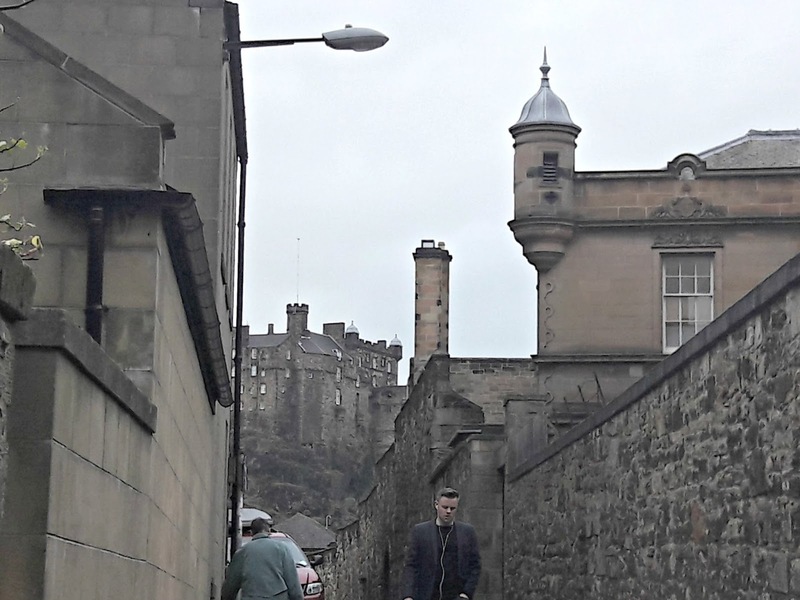 A "close" is a narrow street through the buildings (similar narrow thoroughfares are often called alleys, ginnels or snickets depending on where you live in the country) leading off the Royal Mile which is the main road up to the castle. 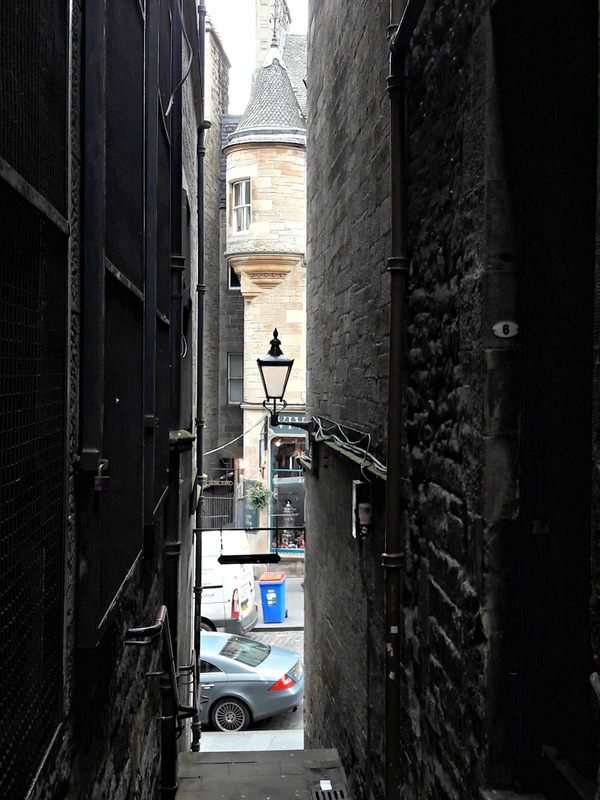 Mary King's Close was one such street, but in the time of the plague it was partially demolished and abandoned - allegedly with plague victims trapped inside - and forgotten about until it was rediscovered and became a tourist attraction in the 1990s. 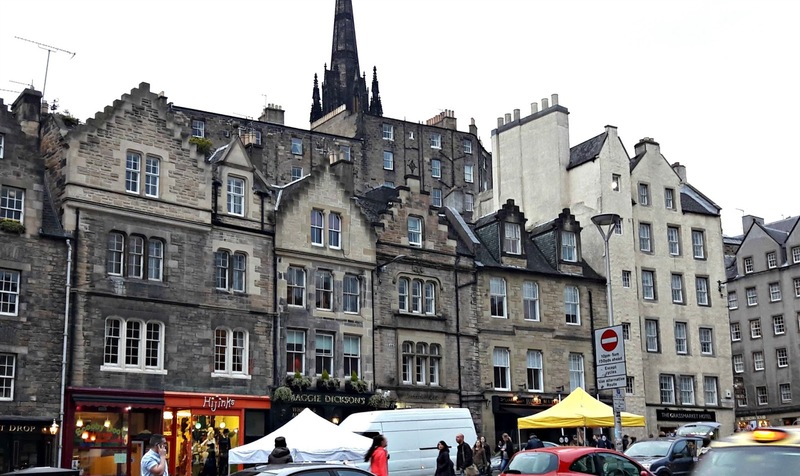 I'm not so bothered about the ghost story that goes with it (there's no shortage of ghost tours in Edinburgh! ), but I think it would be really interesting to see what was left of those tenement buildings, some of which were apparently seven stories high, packed with families living in dreadful conditions. It's a different life, one that I can't begin to imagine, and it's no wonder that the plague tore through the community. 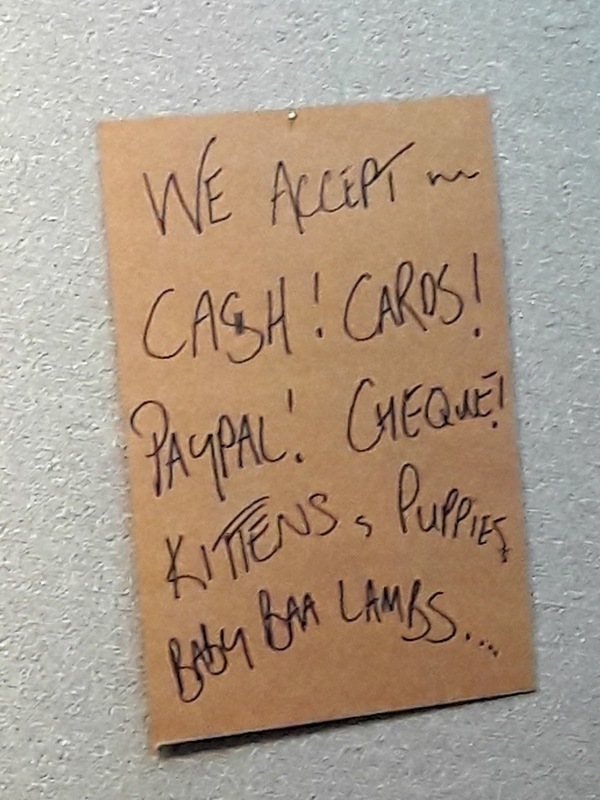 On a more cheerful note, this sign made me laugh. 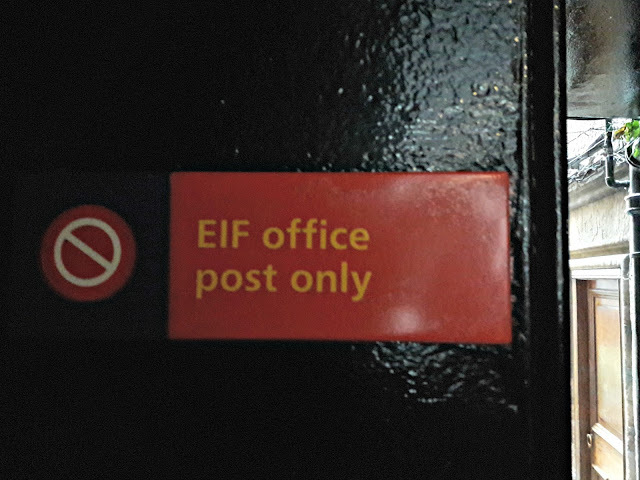 I thought it said "Elf Office" until I looked at it again J.
I loved looking down through the closes to the buildings beyond. 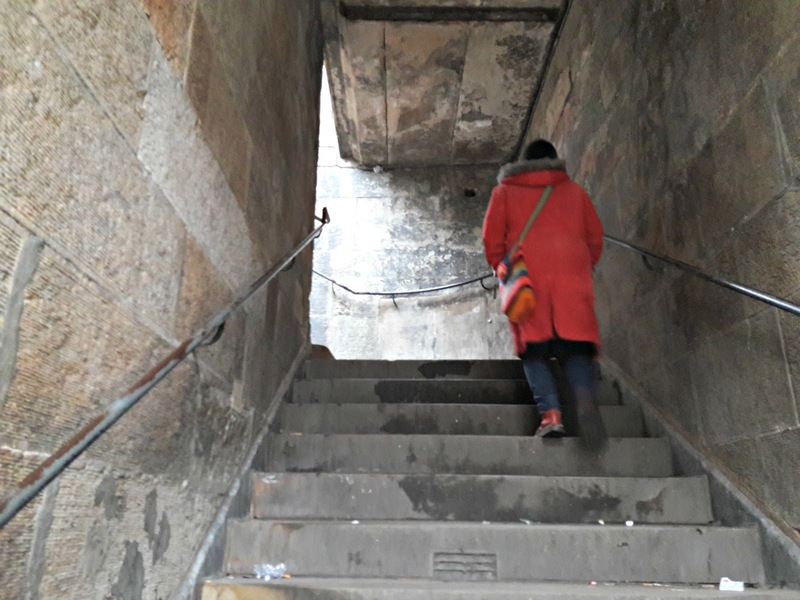 We found ourselves really drawn to them, turning off the main street at every opportunity to walk down the "secret" passageways! 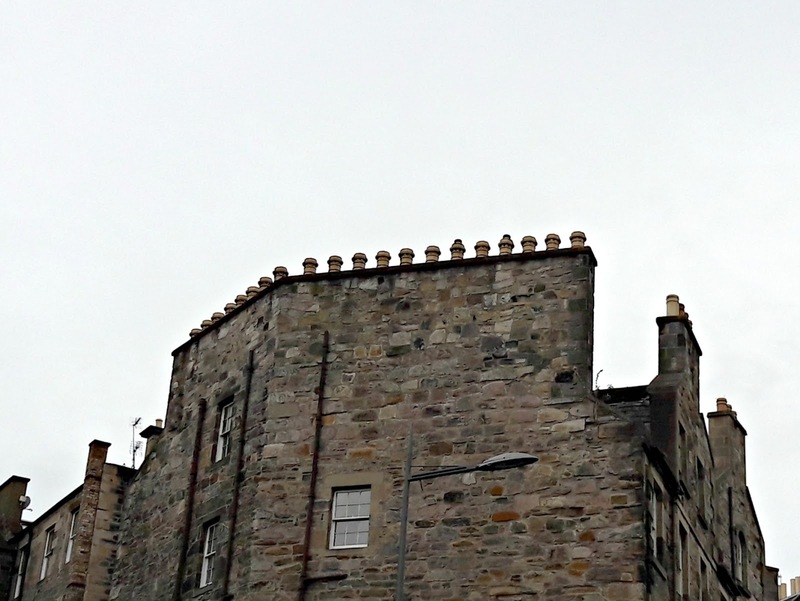 My favourite thing about Scottish architecture is the turrets that are built into the tops of the buildings. I'd love to live in a house with a turret! Edinburgh is one of those cities where you miss so much if you don't look up. 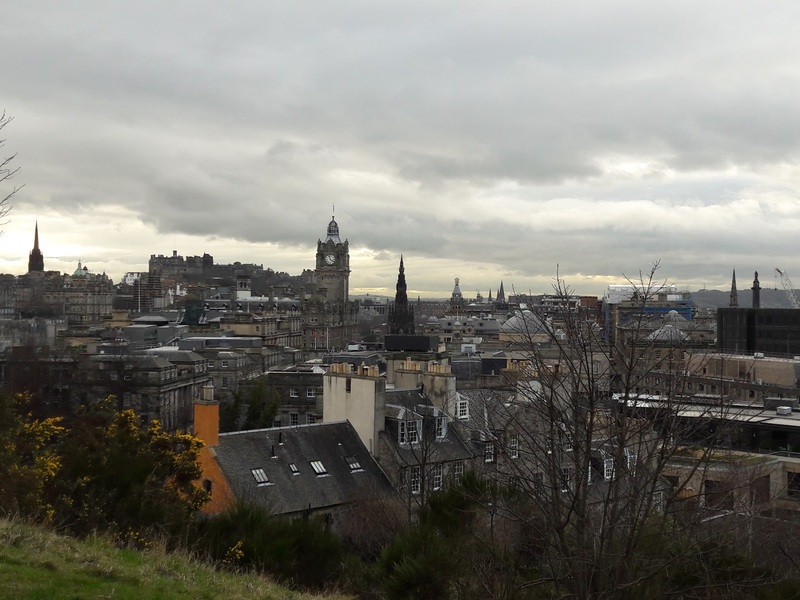 We continued our theme of getting up high by climbing Calton Hill at the far end of Princes Street, getting a view of the other side of the city. Simply turn your head to the left, though, and you leave the city behind. 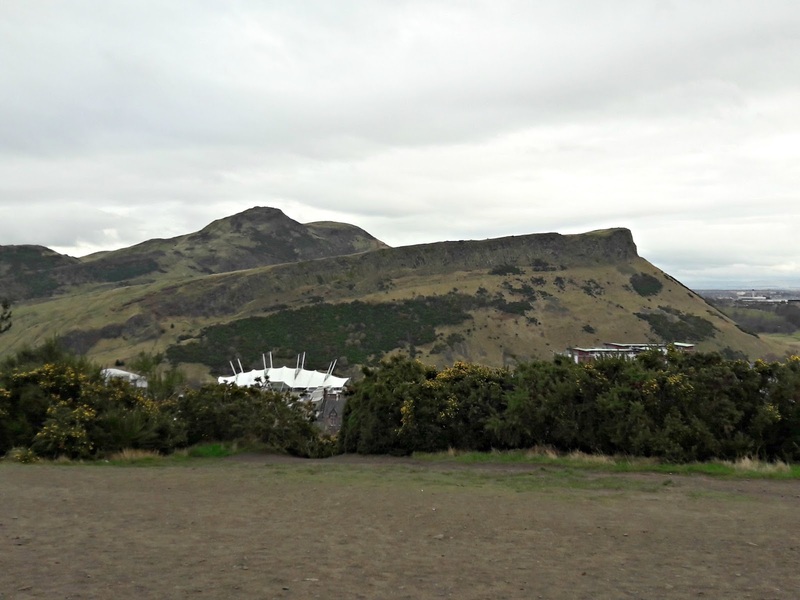 The hill to the left is known as Arthur's Seat and the long slope in front is Salisbury Craggs (the white dome, in case you're curious, is Dynamic Earth, a natural history museum). It's obviously a very popular walk up to Arthur's Seat - Lucy and I sat for a long time on the bench from where I took the picture and we could see figures in the distance walking (some were even running!) up and down the long slope. It's a good place to sit and put the world to rights, and it wasn't until it started raining that we thought it might be wise to head back to the hotel! We passed this little chap with his shiny nose on the way back. 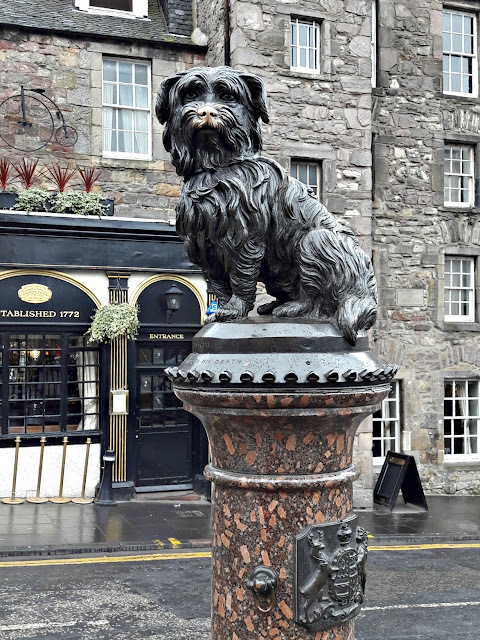 He's Greyfriar's Bobby, and the story goes that he sat on his master's grave for 14 years until he died himself and was buried close to his master. You can read more about the little dog here. He's got a shiny golden nose because people like to rub it for luck. Oh, and in case you're wondering what type of dog he is, he's a Skye Terrier (and usually their noses are black J). It was a bus ride away from where we were staying in Grassmarket, and we weren't the only yarny people on the bus as it headed out of the city centre to the Corn Exchange. We'd heard that it had been incredibly busy on the Friday and Lucy and I hadn't bought advance tickets so we expected to have to wait in a long queue to get in, but by the time we arrived we pretty much walked straight in. We headed for Blacker Yarns and the Podcast Lounge first of all so that I could show off my Blacker Yarns Pod KAL makes and also say hello to Louise of the KnitBritish podcast as I'm going to be sponsoring one of the episodes later this year. 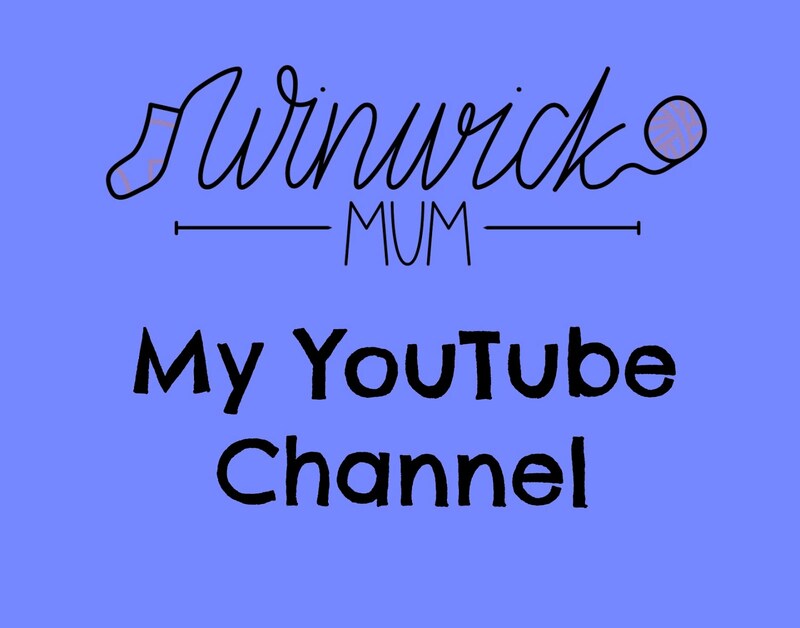 Lucy managed to grab a seat to talk to some friends and I shouldered my way through to talk to Sonja at Blacker Yarns and Louise. Phew - we thought it was really busy in the cafe/knit n natter area so if the day before had been busier ... it would have been standing room only! 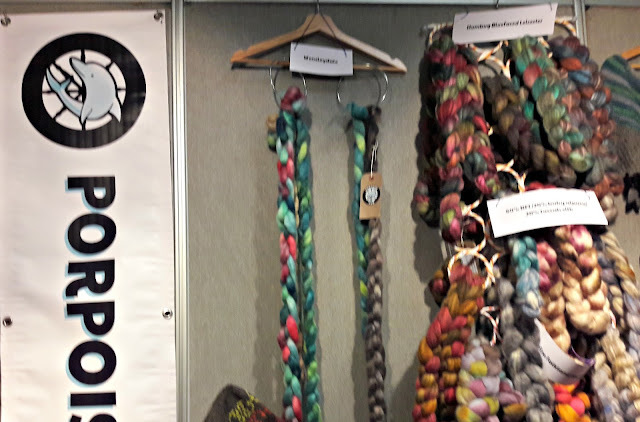 I made my first purchase of the day - some mini-skeins of St Kilda Laceweight (I got a discount as I'd taken part in the KAL, it would have been rude not to use it) - and waved my Arwen socks at anyone who wanted to look at them. No, they weren't on my feet, I had considered this beforehand and kept my socks safely in my bag! One of the big draws to the Edinburgh Yarn Festival is their classes, which run for four days - two either side of the main festival weekend - and are very popular. 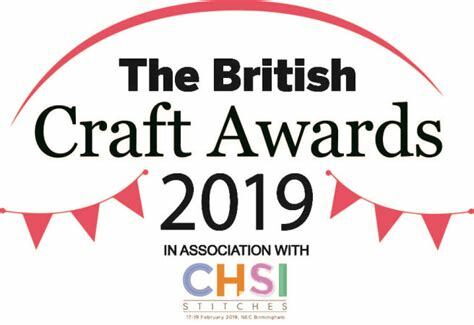 They sold out really quickly and it's easy to see why when you look at the people running them: Kate Atherley, Clare Devine, Karie Westermann, Felicity Ford (Knitsonik), Bristol Ivy, Justyna Lorkowska (Lete's Knits), Nathan Taylor (Sockmatician), Hazel Tindall, Tom of Holland ... the list goes on and on! I think it's an interesting idea to run the classes outside of the main festival too, and they were in three different venues so the marketplace was opened up early to give the people attending the classes chance to get in to look around before they went off to their classes and potentially missed buying anything. and I thought that these long plaits of fleece stand for spinning at the Porpoise Fur looked like mermaids' hair. 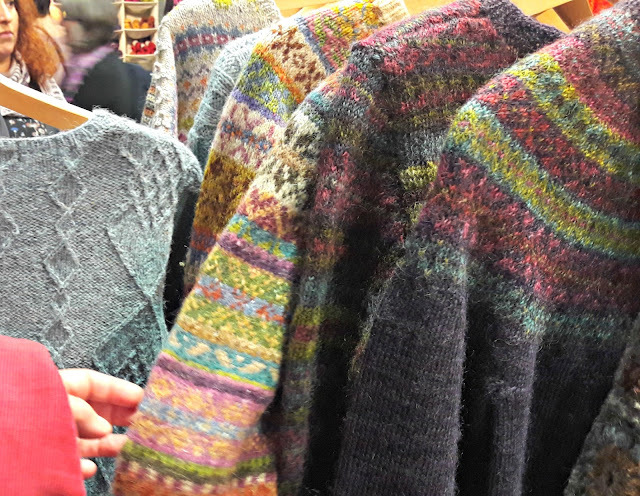 and there were lots of yarns from the Scottish islands which were just gorgeous and it was impossible to pass them by without squishing. 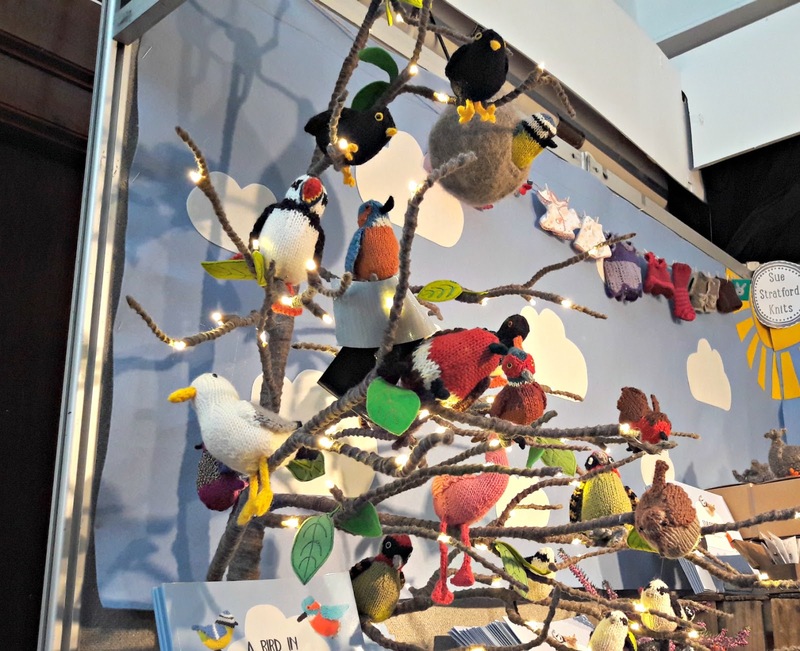 Other designers including Jared Flood were there - it was a very designer-orientated festival - although there were more than a few stands that I recognised from Yarndale and Woolfest. 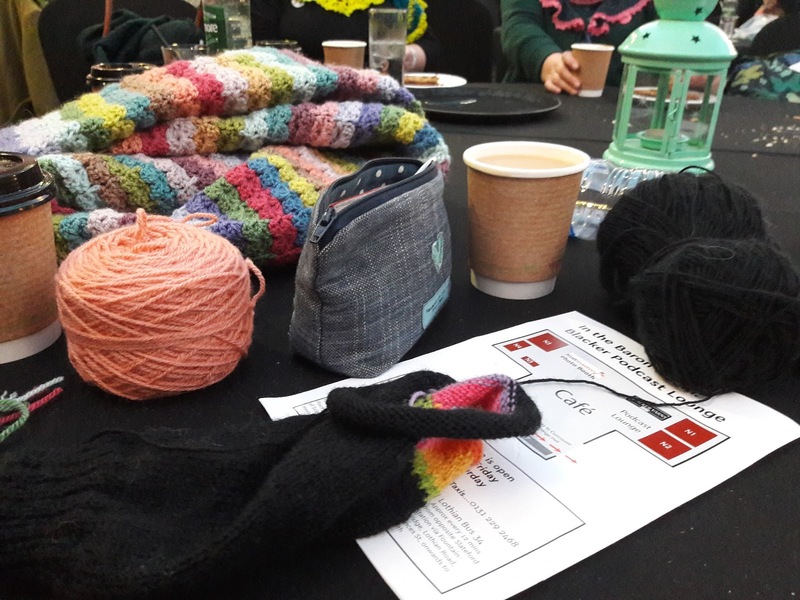 There wasn't much crochet at all, which meant that it felt like much more of a knitter's festival. Luckily, there was plenty that Lucy was interested in seeing so she wasn't bored. 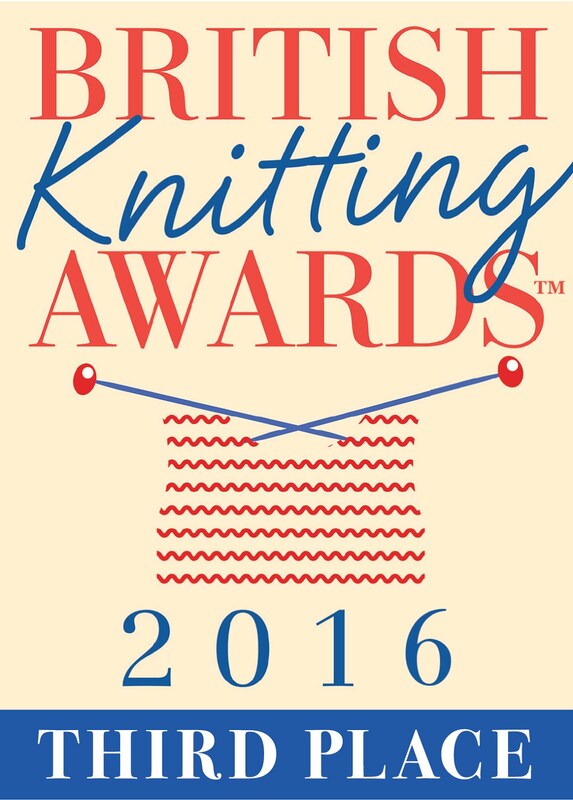 before settling down with a cup of tea and our knitting and crochet for a bit. 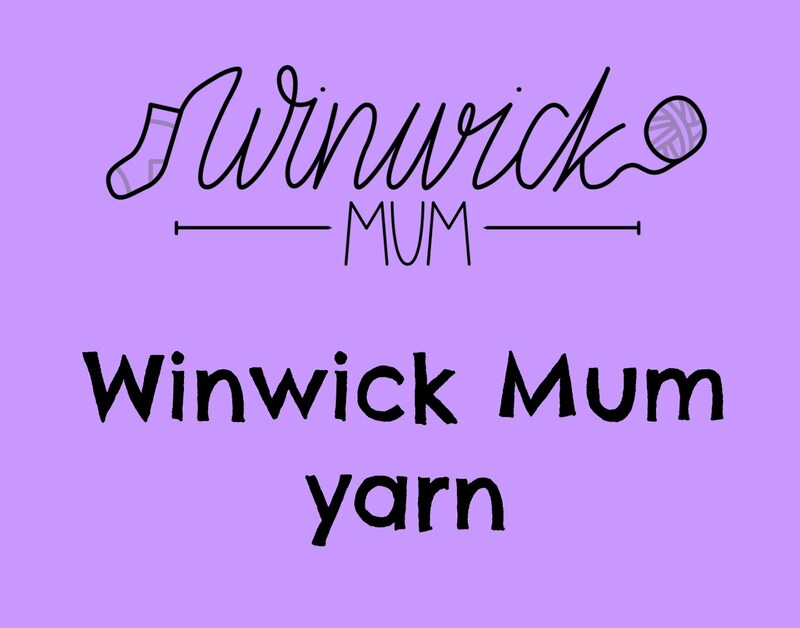 I'd moved onto the black sock and did really well with it at the weekend - I'm up to the toes now - and Lucy was working on her new Hydrangea blanket which she's planning to talk more about on her blog pretty soon. 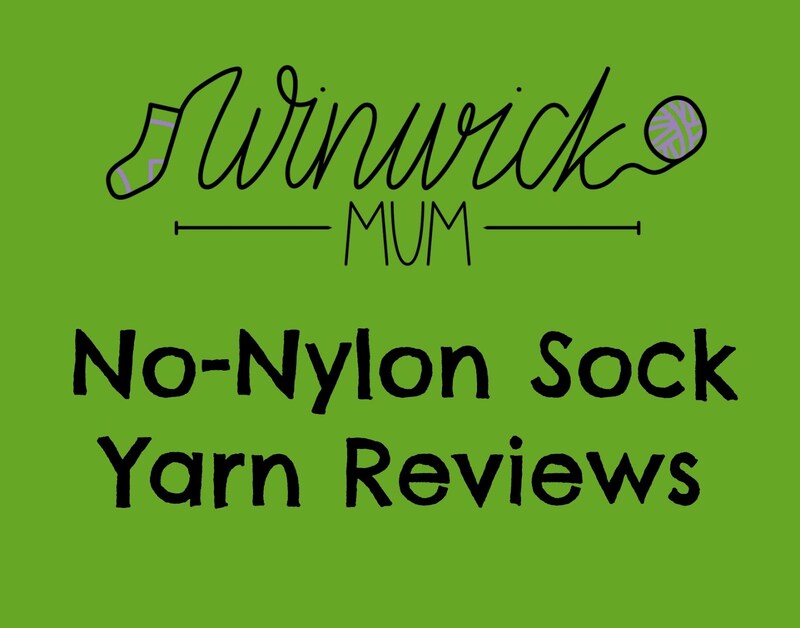 After another quick look around to make sure that we hadn't missed anything (I had, as it turned out - some sock yarn! 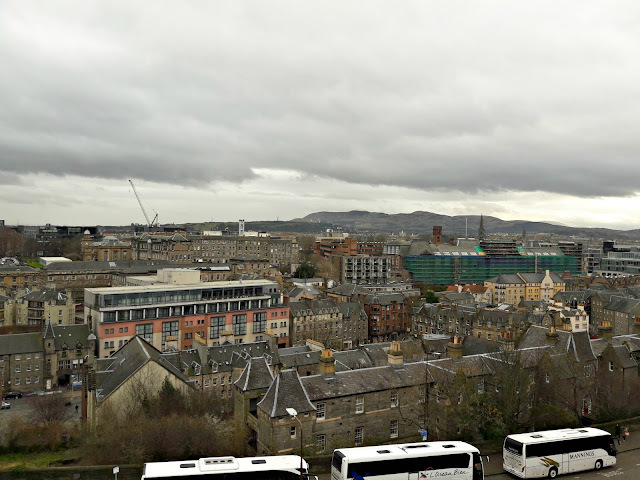 ), we left the Corn Exchange and hopped back on the bus to the city centre. 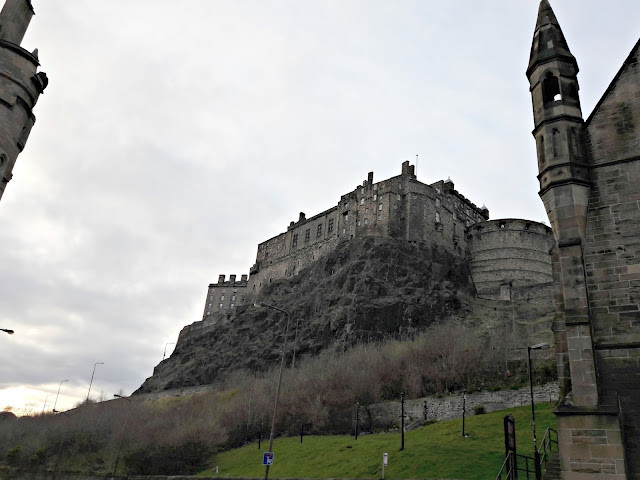 Look, another turret - and the castle! Our room was right up high on the third floor of the hotel overlooking Grassmarket, once a place where markets were held and hangings were a daily occurrence. We had such a good view across the rooftops, and luckily there was nothing more disturbing than rugby songs from the pub below us as the Six Nations Rugby Championships were on. We had a leisurely breakfast with my relatives who were able to come over and meet us, and then headed out for a last walk around the city before heading for our trains home. 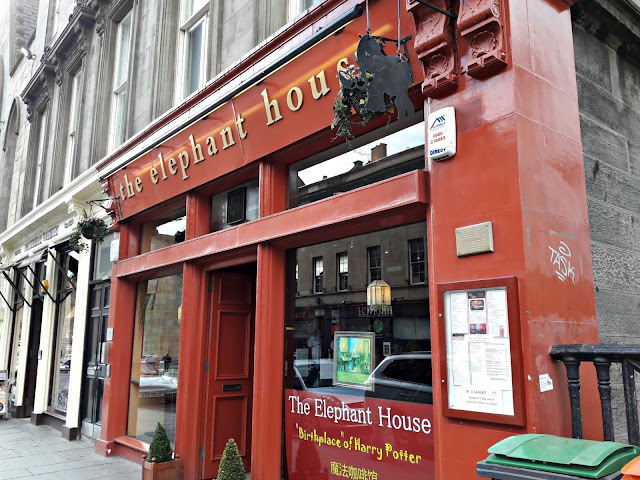 This is the Elephant House cafe, the place where J K Rowling wrote much of her early Harry Potter novels. Edinburgh hasn't gone commercially overboard on the Harry Potter connection; it's there if you look for it in the merchandise in some of the shops, some street signs and Harry Potter-inspired walking tours, but there's plenty on the internet if you want to read up and visit some of the sites that allegedly provided inspiration for the books. 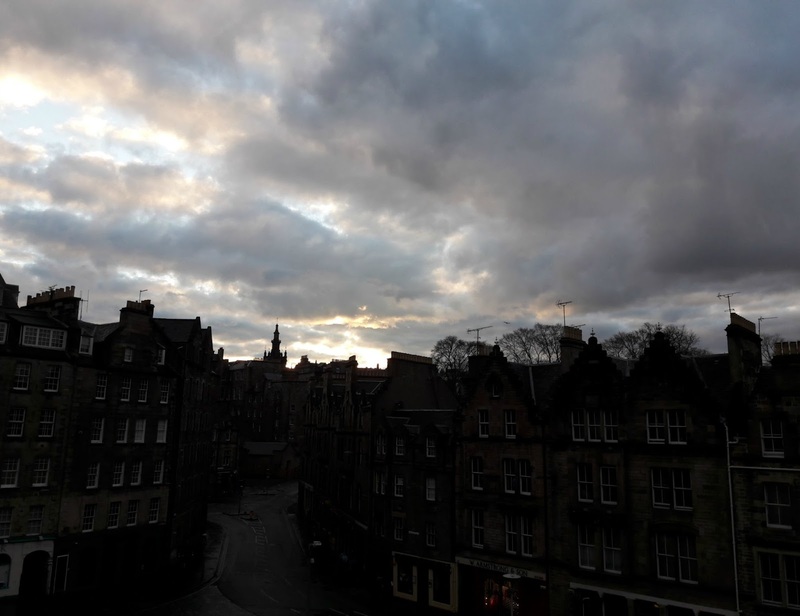 Of course, we were out of season so it could be that in the summer, Edinburgh is Potter-mad! I loved the tower of St Giles' Cathedral which looks like a crown. 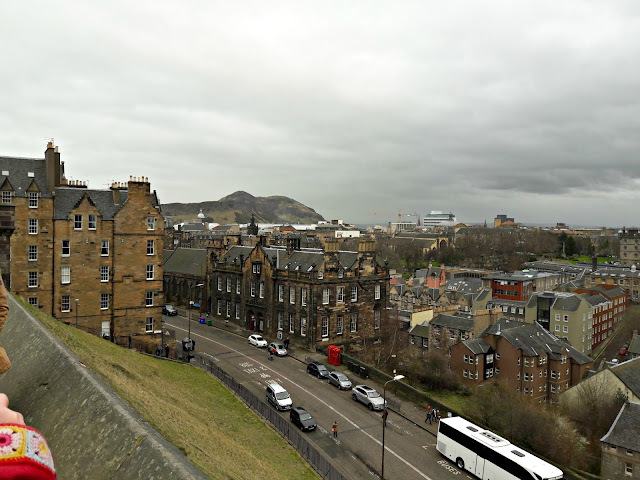 This is on the Royal Mile and you can see right down to the sea - behind us is the castle so it must have been a very imposing sight in the days when there were less buildings. We took a last walk over to the New Town. 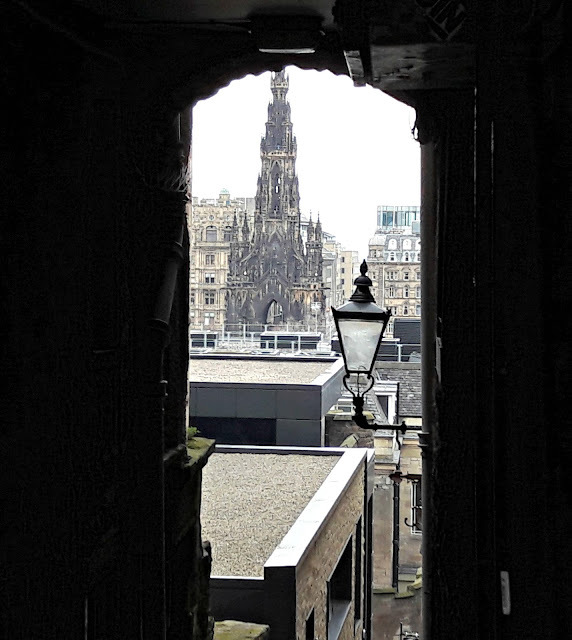 I love that the view of the castle is everywhere, as if it's protecting the city no matter which side of it you're on. 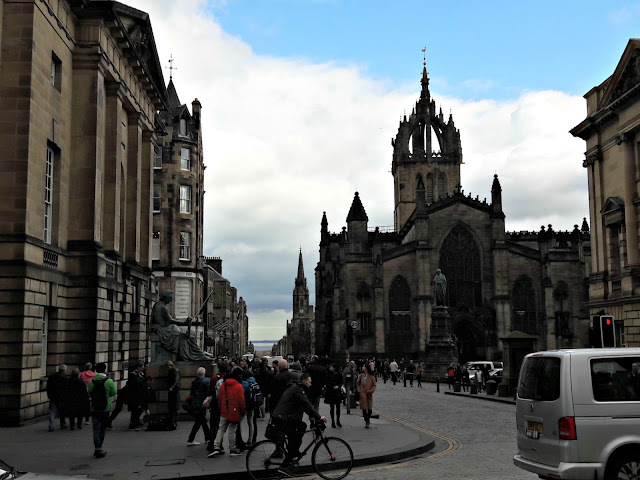 The buildings in the New Town are not as tall as those in the Old Town, and it's surprisingly quick to walk from one end of Princes Street to the other down these straight streets. 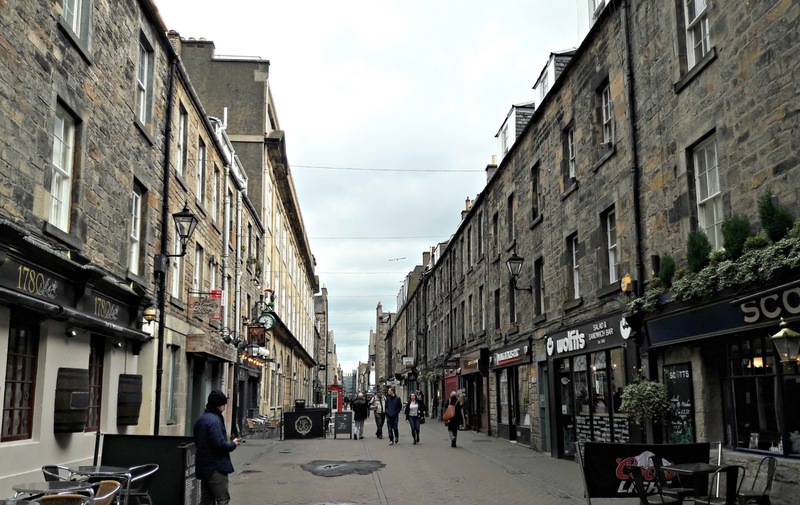 Quite unlike this one - this is Victoria Street leading down to Grassmarket, and apparently the inspiration for Diagon Alley in the Harry Potter books. 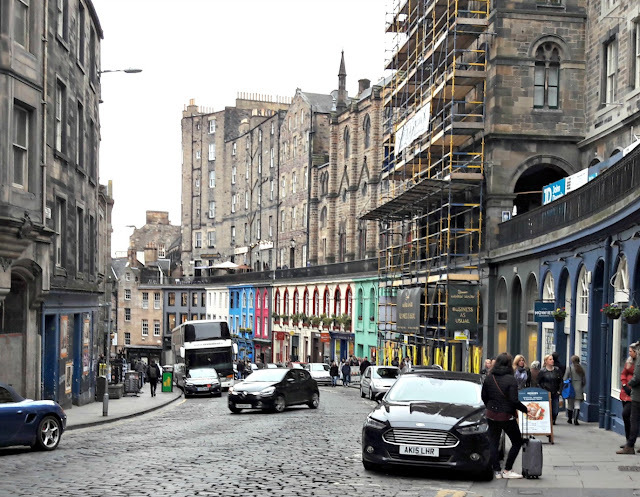 I like the fact that the shops are all different colours, and that no space has been wasted as there are shops and restaurants up above the main street level shops too. I don't really have much to show you in the way of a "haul". 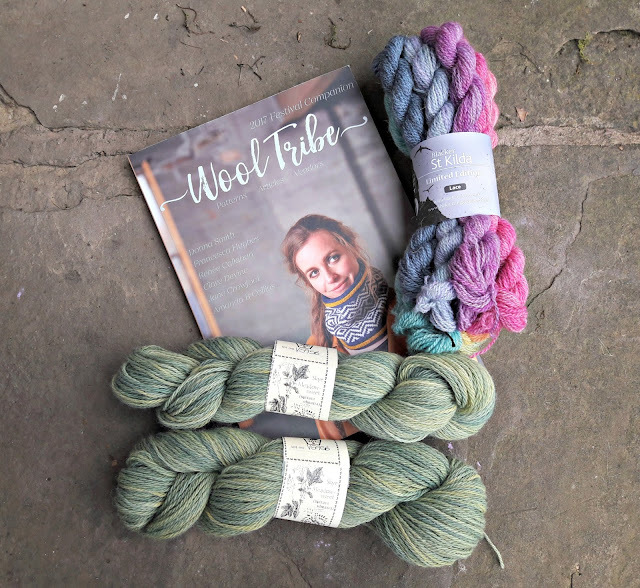 I bought the Wool Tribe book before I went, and it was good to have been able to read it before the festival, not least because I recognised the knitted projects on the various stands. and some beautiful green sock yarn. This is from the Shilasdair stand where their yarns are dyed on the isle of Skye with natural dyes. My green yarn is dyed with Skye meadowsweet and indigo and the way that the yarn has taken the dye in the various shades is just gorgeous. There was so much more that I could have bought, but I am trying really hard to keep my stash to what I can reasonably use in one lifetime ... 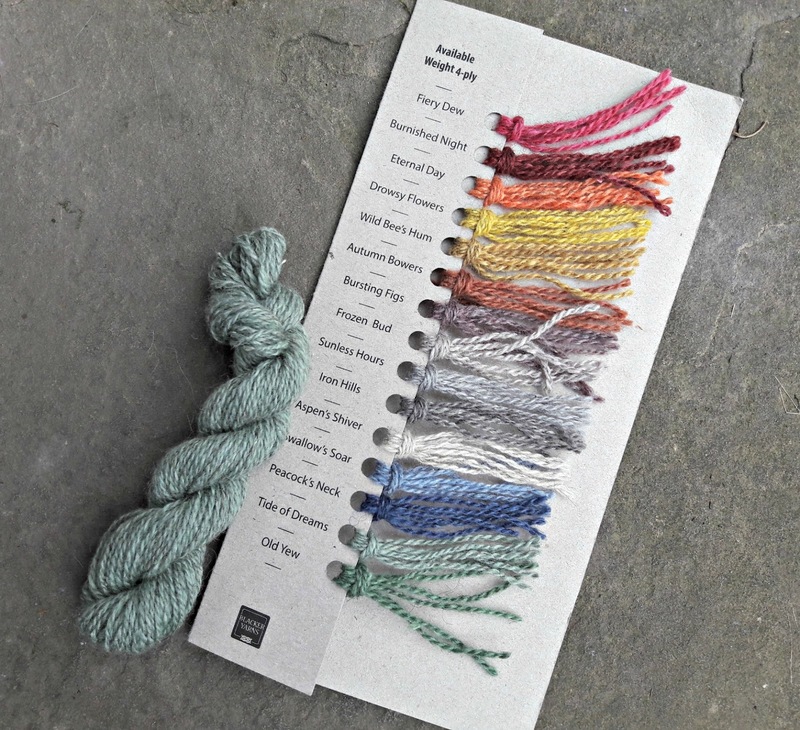 I did bring this sample of the new Blacker Yarns Samite silk blend yarn so that I can tell you more about it. 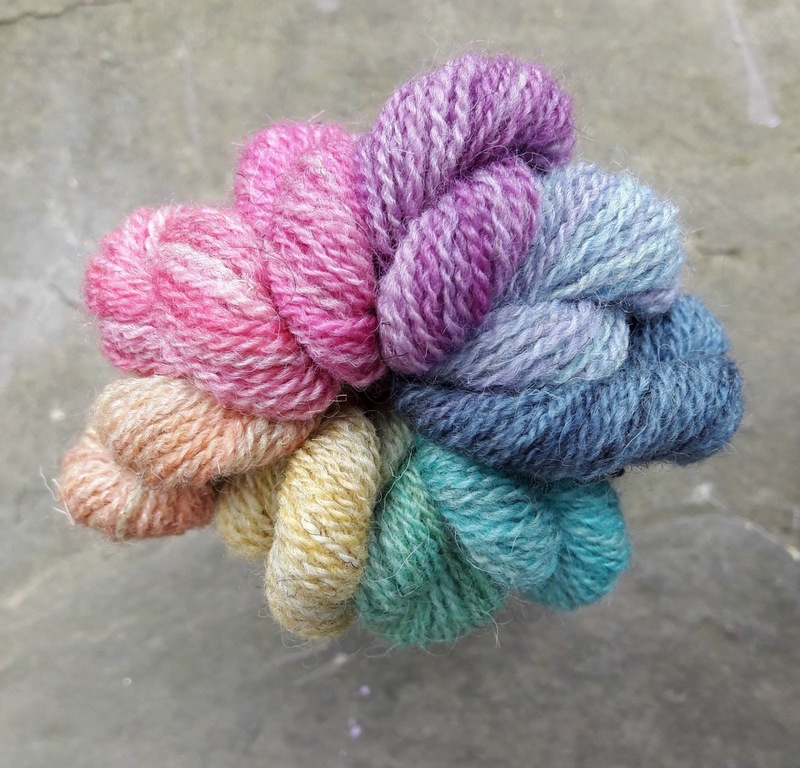 No, I really don't think it's ever going to be socks no matter how much I might wish it to be, but it is very lovely and I am very pleased to have been offered the sample to look at. The colours are all inspired by the pre-Raphaelite and Arts and Crafts movements and have wonderful names like "Bursting Figs" and "Aspen's Shiver". My sample is "Tide of Dreams", and I'll let you know what I think! 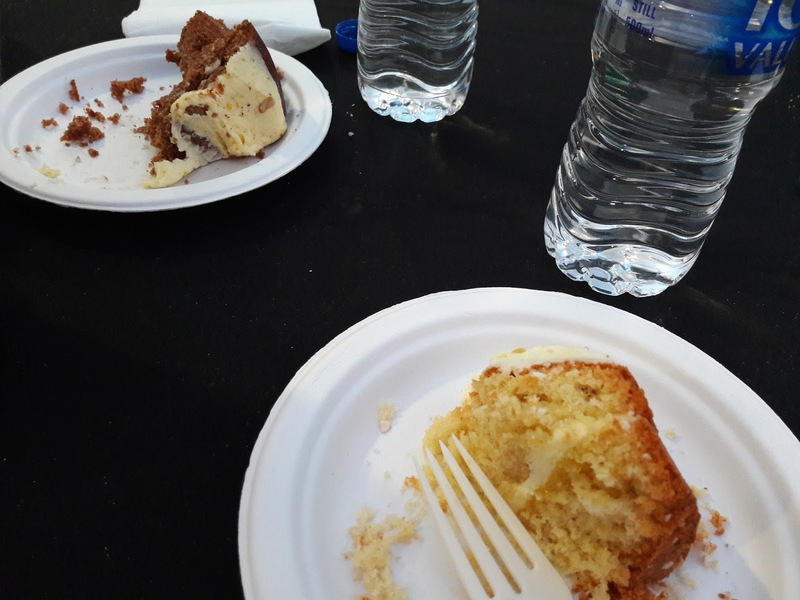 Phew - what a long post - but what a great weekend it was! Lucy and I had such a fun time exploring the city and visiting the festival - bring on our next weekend away! 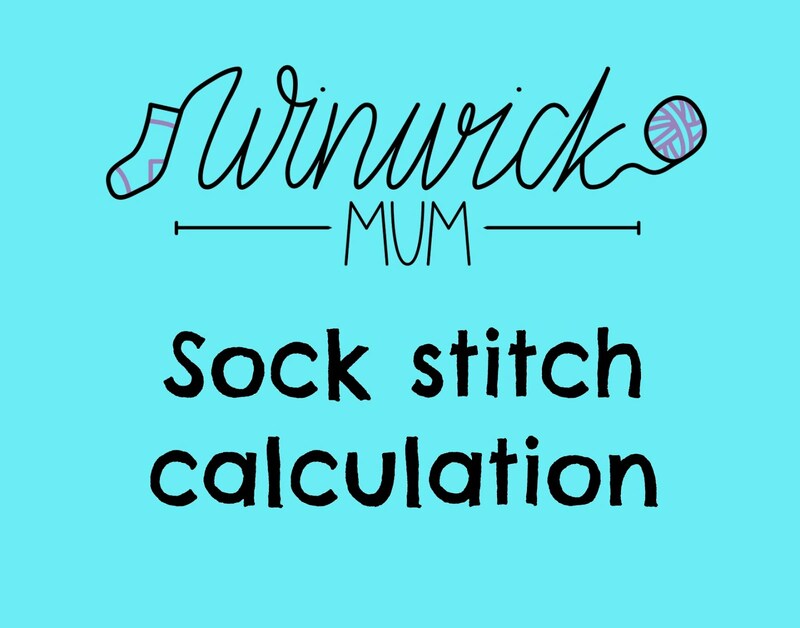 I'm on my second pair of your socks and loving them but I can't get on with the little round needle. I'll just have to stick with my dpns . DH took me to Edinburgh to show me where he lived and started school, we found ourselves in the then independent Jenners, became lost in the amazing store, ended up buying a Persian carpet that is so right for our dining room. Carpet had to be shipped back to London, rather too large to take home on public transport. 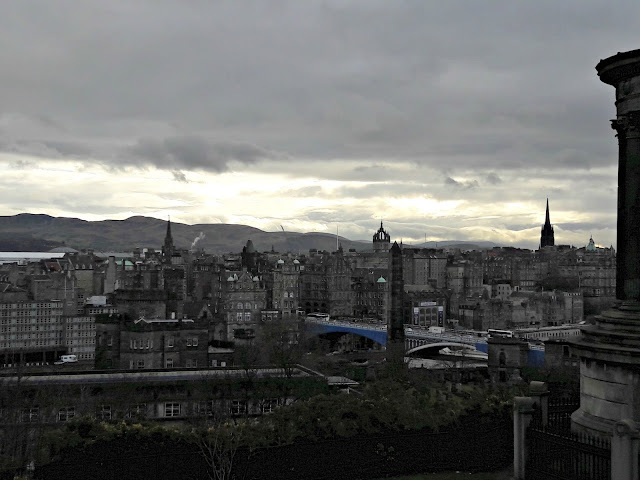 Loved the city, perhaps if I ever use up at least some of my yarn I will visit EYF as an excuse to go back. Glad you had a great time! 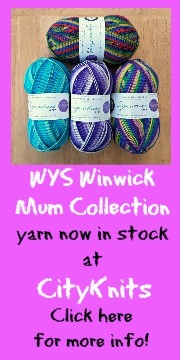 You bought some beautiful yarns home! haha - I totally thought you were kidding when you said you would show a picture of my bum climbing the stairs!!!! What a fabulous weekend, thank you for sharing with all of us. A wonderful weekend and your description makes it feel like being there with you. Thank you. 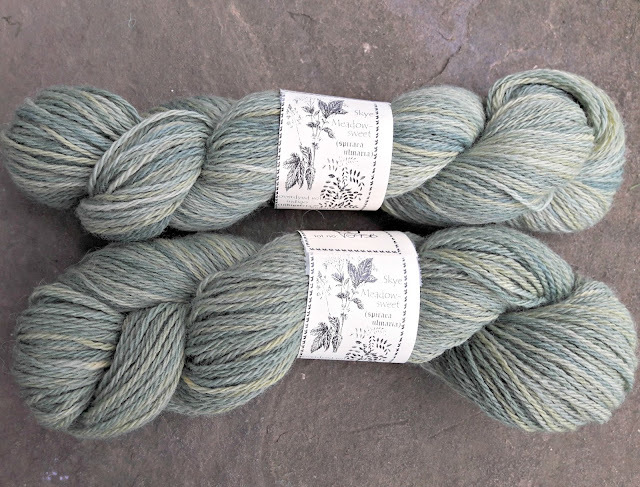 I love the green sock yarn as the colour reminds me of the North York Moors. I am intrigued by the crocheted cuffs on Lucy's coat! Thank you Christine, I will look it up as I must have missed it. I am so glad you enjoyed your visit to the beautiful city I'm lucky to live in! 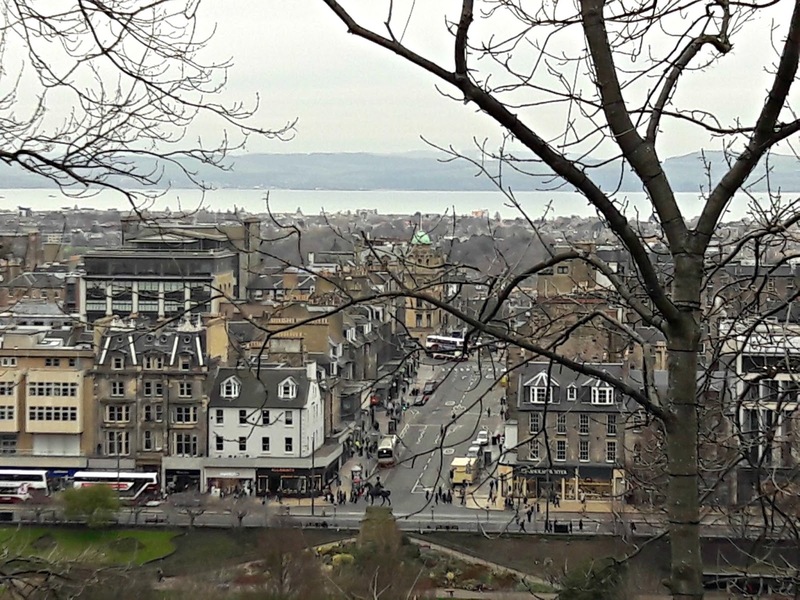 Edinburgh is built on seven hills and it looks like you experienced a few of them. 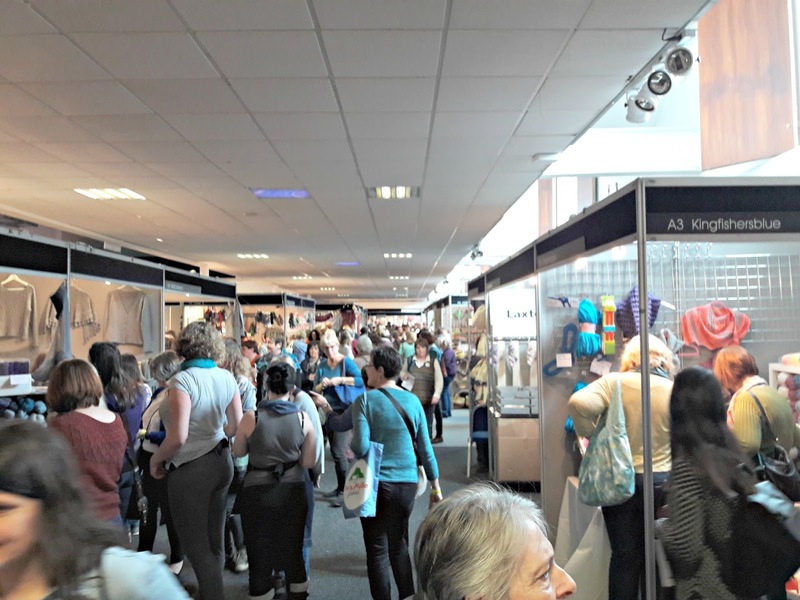 I didn't make it to the EYF as I was working, maybe next year. Thank you for the tour. I am tucked away in northern Alberta under two feet of snow anxiously awaiting spring. Really enjoying your blog. And almost finished my first pair of socks. My LYS is an aisle in the hardware store. Half an aisle really tucked between plumbing and towels! Commenting as anon only because I haven't a clue about all the options. Happy St. Patrick's Day! Hello Christine, you've made my day! 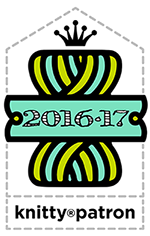 Couldn't believe a knitting celebrity visited my little blog and found time to leave a little comment .... one happy lady here, thank you. Your fabulous and clearly written tutorial was perfect. 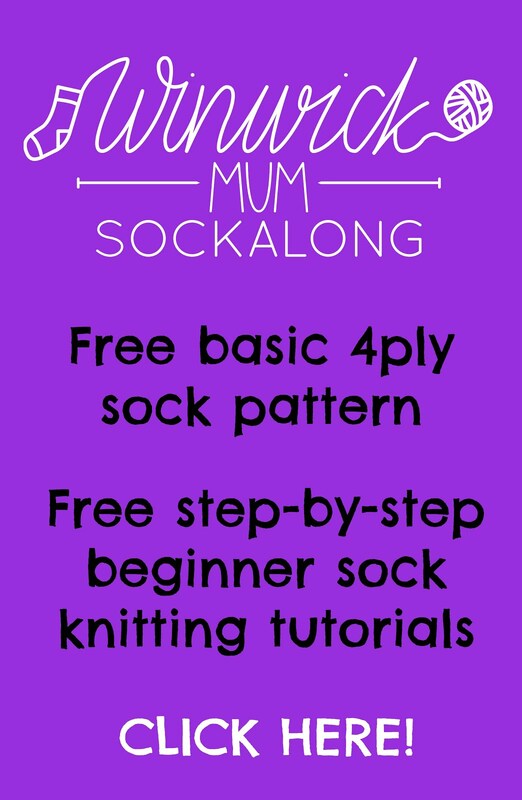 I've recommended you to quite a few friends who want to learn sock bitting. 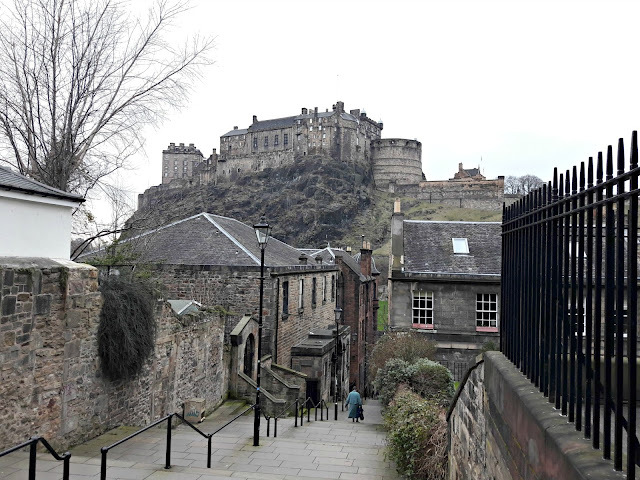 Your visit to Edinburgh with Lucy does look lovely. Oh My!! 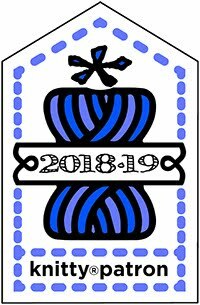 What an interesting and delightful tour you took me on and with all the beautiful yarns to top it off. I've never traveled in your part of the world, but feel much more inclined to try. 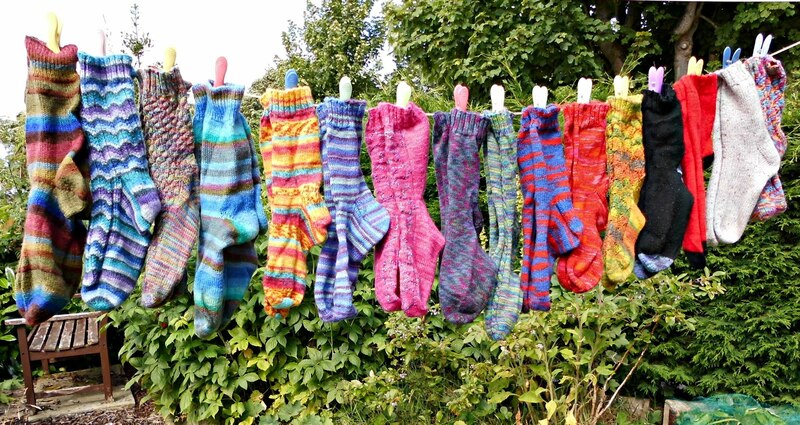 I am now addicted to knitting socks and don't want to cast on anything else when one pair is finished. 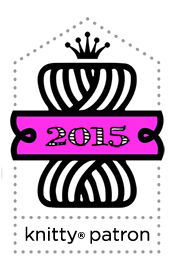 I have just found your blog and will check back often to see what you are up to. 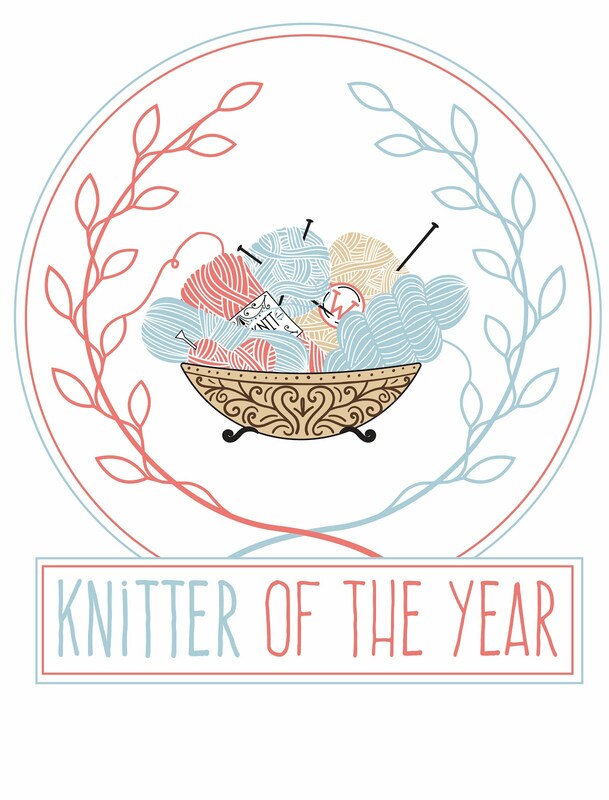 I know there is a wealth of information you can share with me about knitting and yarns. Thanks much for such a delightful introduction to your way of living.